All Aboard the Accessible Pudding Creek Express!! 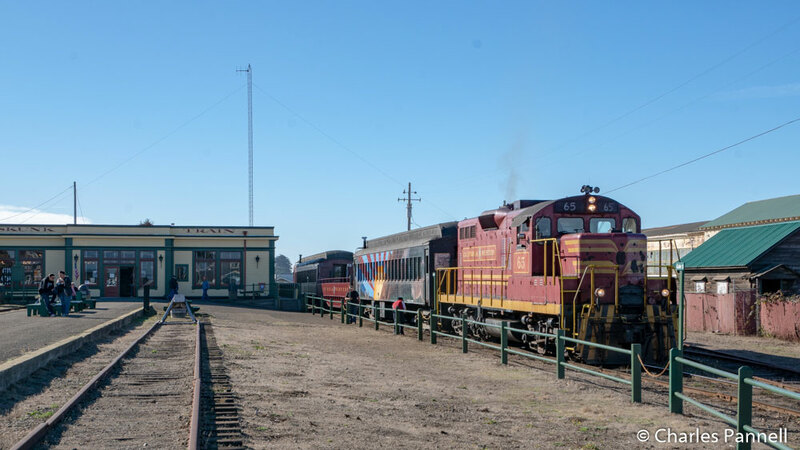 Although Fort Bragg is known for its remote Northern California location and rugged coastal views; most folks completely miss a historic – yet accessible – rail excursion while they’re in town. To be honest, that’s a totally understandable oversight, as the stunning ocean vistas are hard to pass up. 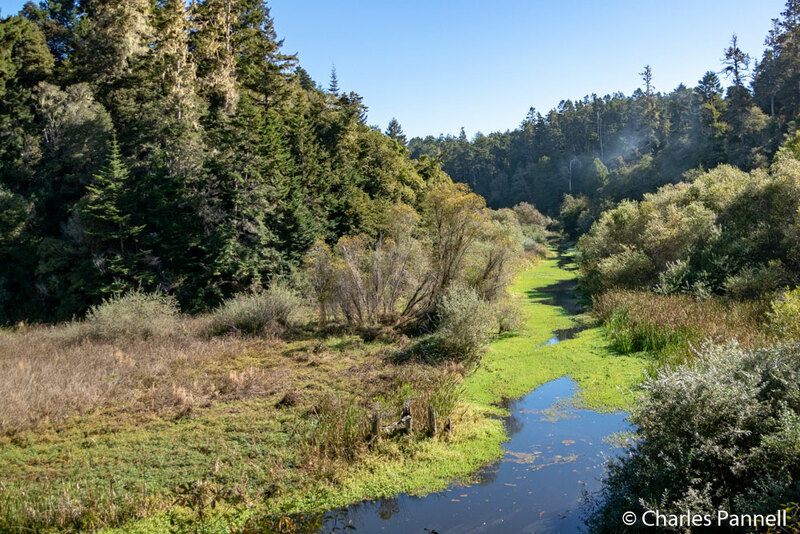 On the other hand, the hour-long Pudding Creek Express offers several daily departures, and boasts equally impressive views of the namesake creek, as well as an intimate glimpse of the magnificent Coastal Redwoods. And the good news is, even though this historic train has been around since the late 1800s, modern day access features have been added, so now more folks can enjoy this scenic ride. The Pudding Creek Express is actually a short – some would call it a taster – version of the day-long Skunk Train (www.skunktrain.com/) that runs from Fort Bragg to Willits. The original Skunk Train began as a logging route back in 1885, when it transported families and workers to and from the numerous logging camps in the area. The train picked up its odiferous nickname in 1925 when motorcars were introduced along the route, and pot-bellied stoves burned crude oil to warm the passengers. As you can imagine, this created quite a stench – one that the locals likened to the pungent aroma of a skunk. The nickname stuck, and residents along the route joked about how they could always smell the train before they would ever see it. Today – some 130 years later – the Skunk Train is owned and operated by Mendocino Railway; and although the train retains its historic nature, the days of the skunk stench are gladly gone. That said, the black and white mascot adorns the train’s logo, which welcomes passengers to the Fort Bragg Depot and encourages visitors to “Ride the Skunk”. Accessible parking is located in front of the Fort Bragg Depot, with curb-cut access over to the front door. Inside there’s barrier-free access over to the ticket window, and to the adjacent gift shop. The restrooms in the historic depot are not accessible; however there are accessible facilities in the Depot Museum and Mall, just across the street. Don’t forget to check out the museum, browse through the artisan mall or have a bite to eat at the nicely accessible Laurel Deli, before or after your train ride. Although there are several steps up to the historic Skunk Train railcars, level boarding from the platform to the train is available via a portable ramp. Just let the cashier at the ticket window know if you need the ramp set in place. Once aboard, the best seating option for wheelchair-users is in the open-air car, which offers level access from the vestibule and boasts unobstructed views on both sides. There is a two-inch step up to the standard railcars from the vestibule, but the aisles in the railcars are wide, so this seating option may work for some slow walkers. The restroom aboard is not accessible, so plan to use the facilities in the mall before the short ride. All in all they did a nice job of making this historic train doable for most wheelchair-users and slow walkers. The one-hour excursion begins as the train winds through Fort Bragg, past the cemetery and along the Pudding Creek Estuary. This historic route travels over some of the first tracks laid down on the railway back in 1885. Although the scenery is great on both sides of the train, the left side (as you face the front) is closer to the estuary, and offers better wildlife viewing opportunities. As the train moves inland on its seven-mile journey, the scenery changes from the estuary to a tree-lined Pudding Creek. Along the way passengers are treated to a lively narration about the history of the logging industry in the area, and the wildlife spotted in the estuary. 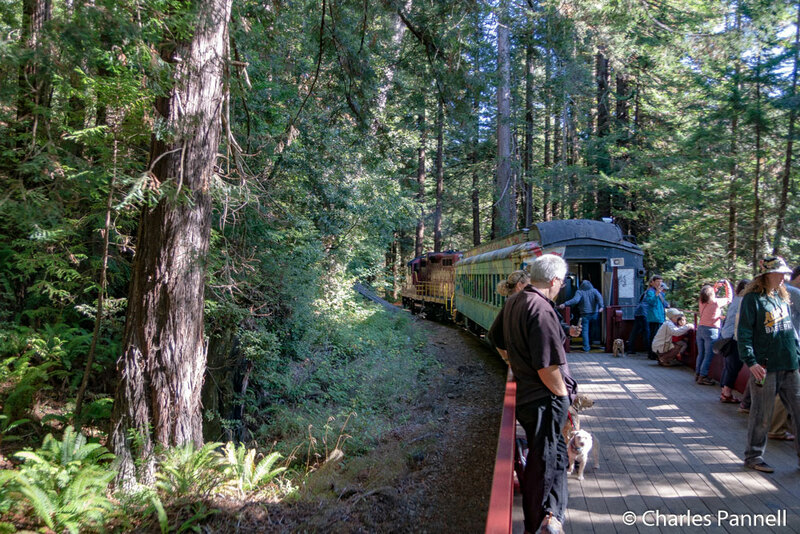 Slowly the landscape changes to a route lined by giant Coastal Redwoods, as the train passes by trees hollowed out by fires and through a forest floor lined with verdant ferns. When the train reaches Glen Blair Junction, it turns around and heads back to Fort Bragg. And the good news is, the return trip is just as scenic. When you get back to the station, be sure and pick up some discount tickets to the nicely accessible Mendocino Coast Botanical Garden. And save some time to explore the equally accessible Fort Bragg Coastal Trail. Finally, if you’d like to spend the night in Fort Bragg, check out the accessible room at the Country Inn B&B.